Abel Korzeniowski collaborated on the last track of Madonna new album. It was Abel Korzeniowski himself to reveal it during a Q&A at the Cordoba International Film Music Festival. This can only makes us very happy! Do you agree? Abel Korzeniowski told that he and Madonna worked together last week on the last track of her new album. “She [Madonna] came to my house again and we worked together,” said Korzeniowski. He added that the song is very intimate and orchestral. Madonna is extremely demanding and she knows what she wants […] but at the same time she’s a sweet person to work with. His name was immediately mentioned as soon as Madonna posted the orchestral snippet of her new song titled Messiah. But the timeline does not fit… apparently. Abel Korzeniowski previously collaborated with Madonna for the stunning soundtrack of her movie W.E.. The Polish-born composer even received a Golden Globe nomination for that soundtrack. I remember working on W.E., it was my biggest adventure. Abel Korzeniowski also collaborated with Madonna for Masterpiece, a track she wrote for W.E. which was included on her MDNA album. Madonna won a Golden Globe for Masterpiece. Madonna also reworked Like a Virgin with Abel Korzeniowski’s Evgeni’s Waltz from W.E. for her MDNA Tour. The new version was called Like a Virgin Waltz. 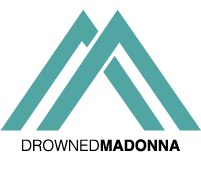 Special thanks to Madonnarama and their reader Richard, who filmed the clip above. Abel KorzeniowskiLike a VirginMasterpieceMDNAMdna tourMessiahnew albumsoundtrackW.E.